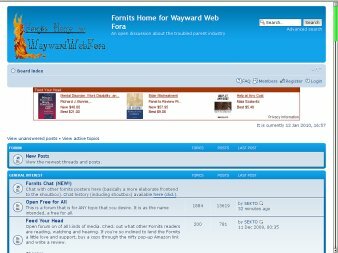 Fornits' Home for Wayward Web Fora - The most popular section of the site. Primarily devoted to discussion about the Troubled Teen Industry. 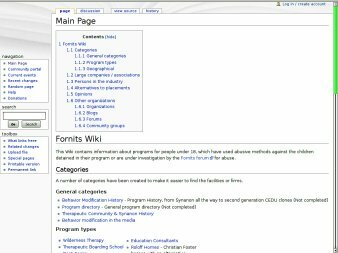 Fornits Wiki - A growing collection of information about a wide range of people places and things related to theTroubled Teen Industry. 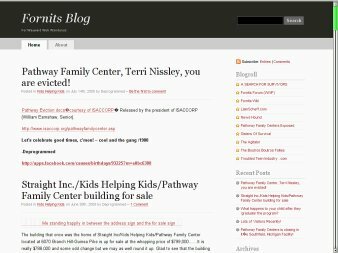 Fornits Blog - News concerning the Troubled Teen Industry and related articles. This is a temporary page. Please bear with us while we do a bit of housecleaning.